When pipelines have either been too structurally complex or operationally challenging for inline inspections, basic assumptions have often ruled the day. 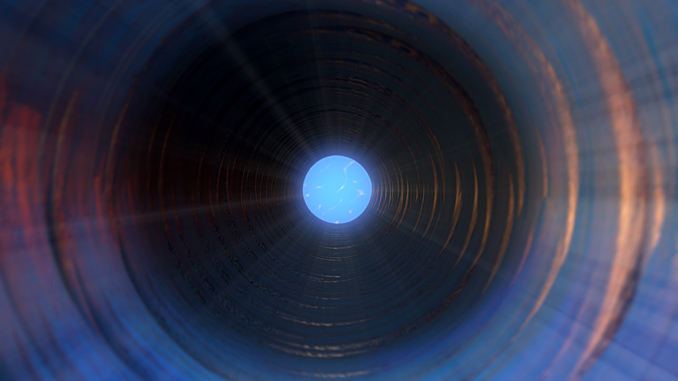 In a situation where inline inspections (ILI) were impossible or impractical, a common historical approach for operators was to assume that the lowest physical points of a subsea pipeline would have a higher risk of corrosion. Thus, the majority of inspection efforts were focused on these spots. In some cases, analysis has proven this basic assumption to be false. The risk of corrosion is highly correlated with a complex interplay of factors. If false confidence thrives, the risk of operators missing actual problems and exposing themselves to structural weaknesses intensifies. What’s more, pipeline inspection places a huge burden on OPEX – so getting it right is not only paramount to assessing current and future integrity but to controlling associated costs. Where other techniques have hit a wall, Wood’s multi-disciplinary modelling and analytics-driven approach of internal corrosion assessment for pipelines (ICAP) has broken through. Supported by NACE standard practices and utilising operational data that companies often already possess, ICAP enables operators to pinpoint the real threats, build confidence in their assessment capabilities and ultimately optimise their inspection processes. The more structural limitations there are to an internal pipeline assessment, the more complex it is to verify the structural integrity of a pipeline. In those situations, the questions that operators and their regulators will ask around validation will be just as complex. With high-risk pipelines, operators and their regulators need to assure themselves that appropriate analysis has been performed to demonstrate integrity – and validate that they can back up these assertions. This isn’t easy, but Wood’s experts understand that there are a multitude of factors that underlie the likelihood for weakness in a pipeline. More than just depth – wax, sand, local process parameters and water drop rates all come into play. In situations where inline inspections aren’t possible or a tethered pig option is unfeasible, operators have often been left with little more than guesswork: deducing where the high-risk areas are, conducting a number of internal inspections and trusting that this is enough to assure integrity. Operational data provides the key to unlocking a new, more effective approach to internal pipeline assessment. Data points around flow rates, fluid composition, pressure and temperature and other factors can reveal a lot about the likelihood of corrosion. With analytics, this information can be assessed and transformed into models that predict where the potential weaknesses may be. One of the strengths of the ICAP approach is that data doesn’t have to be complete to create a full picture. Where information for a specific pipeline is incomplete or unavailable, information from comparable pipelines or databases may be used to build out a risk-based projection. Once the data is set, it feeds into the analytics and modelling. Flow modelling takes historical flow data, factors in multiple attributes, such as the system geometry (i.e. 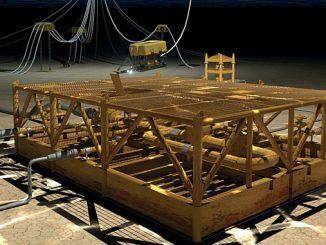 the configuration of subsea structures, risers and pipeline elevation profiles) and thermal properties, and runs various simulations to determine critical aspects, such as fluid composition changes over time. Additionally, flow modelling helps then define sub-regions for the pipeline, identifying areas like wellheads, connectors, jumpers and manifolds, which influence the makeup of the data and modelling outputs. The outputs of flow simulations are then used to feed into a range of corrosion and erosion rate models. To put it differently, the intelligence gleaned from flow rate modelling helps identify the locations of sand deposition, wax deposition, extreme process conditions and other signs which may be conducive to severe internal corrosion. The areas with a higher likelihood of corrosion are then identified, thus making them priorities for direct inspection. This also enables a corrosion risk profile to be developed for the entire length of the pipeline, with most susceptible locations clearly identified. With the right expertise behind the complex inter-related modelling process, operators can make projections of existing flow characteristics and corrosion predictions with a high degree of confidence. ICAP isn’t just about crunching data and building models – it’s a multi-disciplinary approach that incorporates the direct inspections that follow. And with the accuracy that modelling delivers in identifying potential trouble spots and the specific degradation mechanisms at play, pipeline operators can rely on ICAP to prime their approach to pipeline inspections. With ICAP, direct inspections – whether they be a partial ILI, tethered ILI or an alternative external physical inspection – are more targeted. Moreover, as operators gain confidence in the accuracy of the modelling, they’re able to undertake direct inspections in a more cost-effective manner. For example, an engineer could elect to do an inspection adjacent to a potential point of corrosion if getting to the actual location is difficult – and still be confident in the accuracy of the measurement. Additionally, as the accuracy of modelling is validated through inspections, operators will have the flexibility to adjust inspection regimes. Knowing which factors – whether they be flow rates, dropouts or temperature changes – to watch for and how much of a change is needed to warrant a more immediate inspection, will enable engineers to de-prioritise inspections that aren’t as critical. Therefore, by reducing the frequency of necessary inspections on lower risk pipelines, operators stand to reduce costs, while enabling resources to be focussed on higher risk pipelines, or even specific pipeline segments. This can also be achieved by optimising the operational conditions of the pipeline by selecting an operating envelop that will result in acceptable corrosion rates at the most susceptible locations. 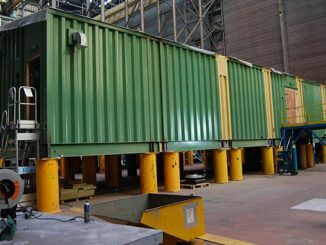 Wood’s ICAP process provides a suite of various operating scenarios and corresponding corrosion rates, which are derived from the historical data clustering carried out during initial stages of the process. The value of the ICAP approach isn’t limited to situations where pipelines aren’t piggable. 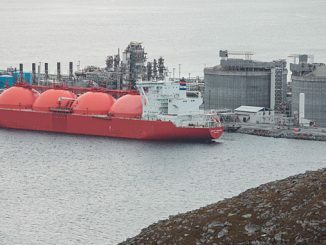 The ability of ICAP to create an accurate, detailed projection with even partial data gives operators the option to run partial ILIs, instead of full ILIs, and use modelling to build out a complete picture of potential corrosion risk. In essence, ICAP complements ILIs to optimise inspections. ICAP also introduces a new level of scalability into inspections. As modelling and projections are validated for one pipeline, engineers can have the confidence to extend the same approach to others, knowing that the outputs will be highly accurate. Once again, this can reduce the cost of deploying full or partial ILIs. Mitigating operational threats can never be justified by using an approach that is built primarily on assumptions.With pipeline assessments, the modelling and analysis of the ICAP approach stands to not only provide a more targeted and accurate view into potential corrosion threats, but to make direct inspections a much more strategic and cost-effective process, using analytics to push past physical limitations. Building – and assuring – confidence in pipeline inspection practices, especially for more complex situations, is essential. And with an integrated approach combining experience and modelling, guesswork is swept away to create a stronger foundation for future inspections, pipeline integrity and future operations. Ian Macleod is Engineering Manager for the Integrity Management department at Wood plc in Aberdeen. His expertise comprises specialised knowledge in the field of flexible pipes. 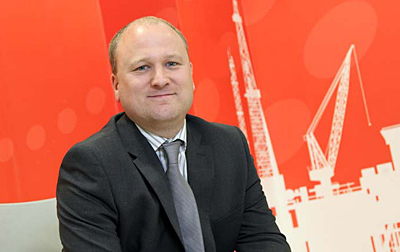 Macleod, a Chartered Engineer and a Fellow of the IMechE, has worked to provide technical leadership of flexible pipe failure investigation and operational support and has served as technical lead on the SureFlex flexible pipe integrity JIP.